While most of the discussion about CSS on the web (or even here on CSS-Tricks) is centered around writing styles and how the cascade affects them, what we don't talk a whole lot about is the sheet part of the language. So let's give that lonely second "S" a little bit of the spotlight and understand what we mean when we say CSS is a style sheet. The cascade describes how styles interact with one another. The styles make up the actual code. Then there's the sheet that contains that code. Like a sheet of paper that we write on, the "sheet" of CSS is the digital file where styles are coded. The sheet holds the styles. There can be multiple sheets all continuing multiple styles all associated with one HTML document. The combination of those and the processes of figuring out what styles take precedence to style what elements is called the cascade (That first "C" in CSS). The sheet is such a special thing that it's been given its own file extension: .css. You have the power to create these files on your own. Creating a CSS file can be done in any text editor. They are literally text files. Not "rich text" documents or Word documents, but plain ol' text. 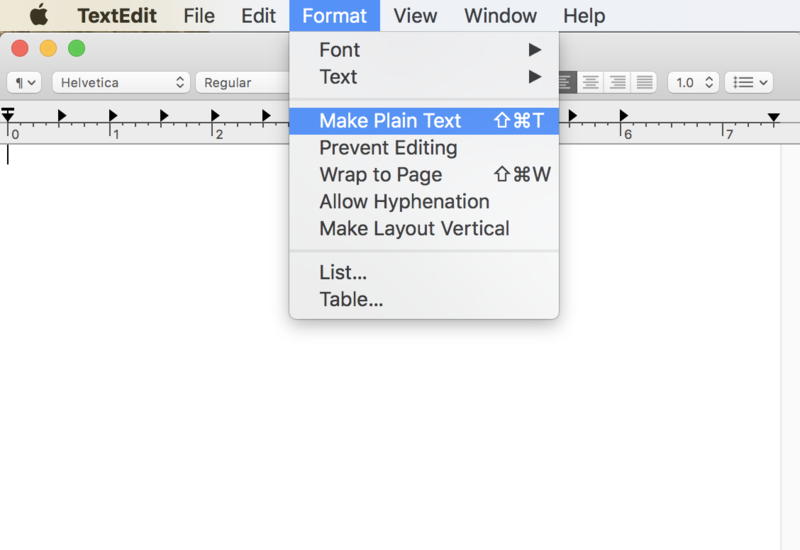 If you're on Mac, then you can fire up TextEdit to start writing CSS. Just make sure it's in "Plain Text" mode. If you're on Windows, the default Notepad app is the equivalent. Heck, you can type styles in just about any plain text editor to write CSS, even if that's not what it says it was designed to do. You might reach for one of those because they'll do handy things for you like syntax highlight the code (colorize different parts to help it be easier to understand what is what). Those files are 100% valid in any web browser, new or old. We've quite literally just made a website. We do need to connect the HTML and CSS though. As in make sure the styles we wrote in our sheet get loaded onto the web page. See the Pen Style-less Webpage by Geoff Graham (@geoffgraham) on CodePen. Once we link up the CSS file, voila! See the Pen Webpage With Styles by Geoff Graham (@geoffgraham) on CodePen. 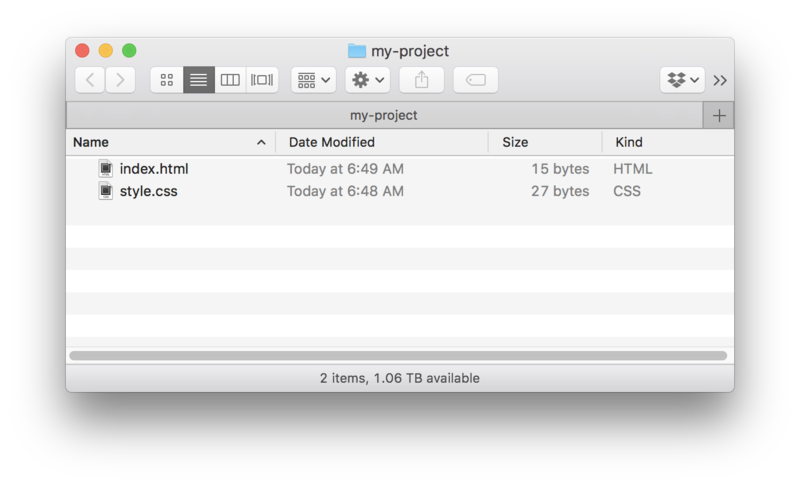 The important thing is to give the correct location of the CSS file, whether that's on your web server, a CDN or some other server altogether. You saw the example of a barebones web page above. No web page is required to use a stylesheet. If you decide to use a stylesheet later, it is extremely difficult to override inline styles with the styles in the HTML. Inline styles take priority over styles in a sheet. Maintaining all of those styles is tough if you need to make a "quick" change and it makes the HTML hard to read. There's something weird about saying we're writing CSS inline when there really is no cascade or sheet. All we're really writing are styles. That does indeed make the HTML easier to read, already making it better than inline styling. Still, it's hard to manage all styles this way because it has to be managed on each and every webpage of a site, meaning one "quick" change might have to be done several times, depending on how many pages we're dealing with. An external sheet that can be called once in the <head> is usually your best bet. I hope that you're starting to see the importance of the sheet by this point. It's a core part of writing CSS. Without it, styles would be difficult to manage, HTML would get cluttered, and the cascade would be nonexistent in at least one case. The sheet is the core component of CSS. Sure, it often appears to play second fiddle to the first "S" but perhaps that's because we all have an quiet understanding of its importance. Specifics on Specificity - The cascade is a confusing concept and this article breaks down the concept of specificity, which is a method for how to manage it. The latest ways to deal with the cascade, inheritance and specificity - That's a lot of words, but the this article provides pro tips on how to manage the cascade, including some ideas that may be possible in the future. 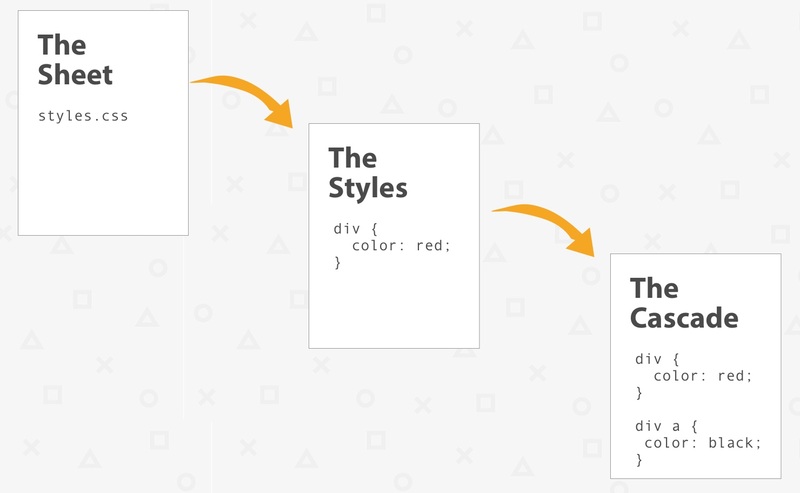 Override Inline Styles with CSS - This is an oldie, but goodie. While the technique is probably not best practice today, it's a good illustration of how to override those inline styles we mentioned earlier. When Using !important is The Right Choice - This article is a perfect call-and-response to the previous article about why that method may not be best practice. You could include tips on using style.php file too, with php variables as the width of the main content of a page for example. Especially when a CMS is involved. Great article! I will check out the suggested further reading links you dropped toward the end. System Preferences > Keyboard > Text > “Use smart quotes and dashes”. Sublime Text is great editor, but if you’re looking for a free alternative I’d go with Notepad++ for starters. Atom is good as well. Really enjoying this series! Please keep ’em coming.